Wednesday, January 22nd: It was an Under Armour hoodie kind of day! 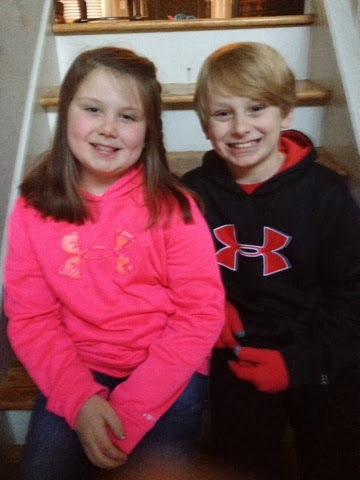 Guess how many times a day I get ask if they are twins?!?! A lot!!! 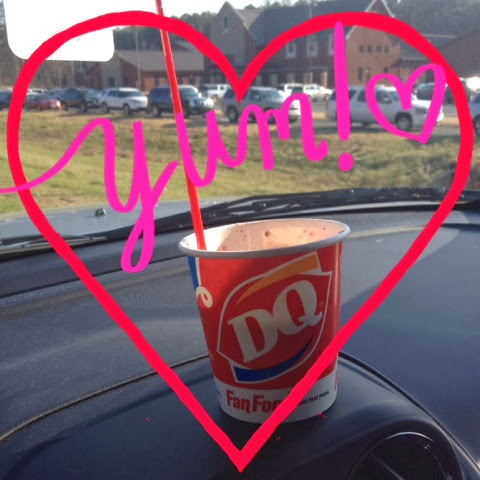 Thursday, January 23rd: my car rider snack for the day... Mini Blizzard from DQ!!! It was a rough week mama gets a treat every now and then right?!? I am sure I will regret this come bathing suit time! Right?!?! 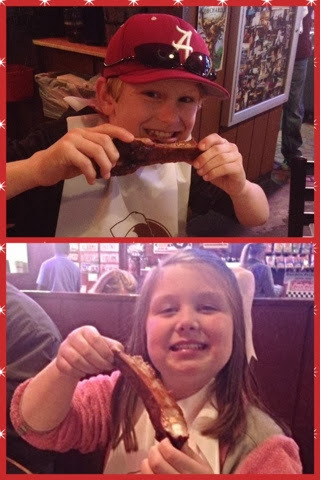 Friday, January 24th: enjoying a yummy dinner of ribs and sides and the best banana pudding around at Dreamland!!! Saturday, January 25th: we had a women's luncheon today at church! Our speaker was great! 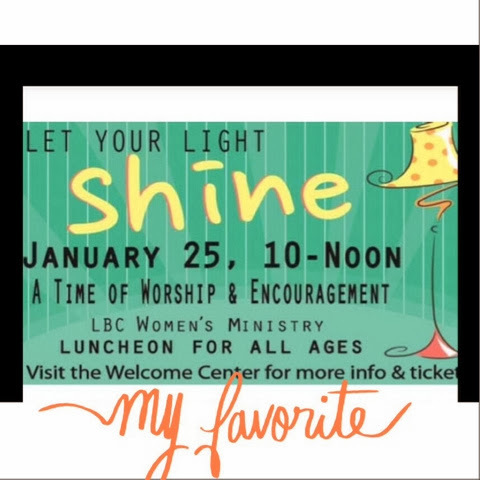 Encouraging us moms to let our light shine where we are! Let our daily life be our mission field! Let His light shine through us in car pool, at the ball field, where we work etc! It was nice to hear that we don't have to be in the mission field in another country to let His light shine! Sunday January 26th: Sunday Snaps!!! 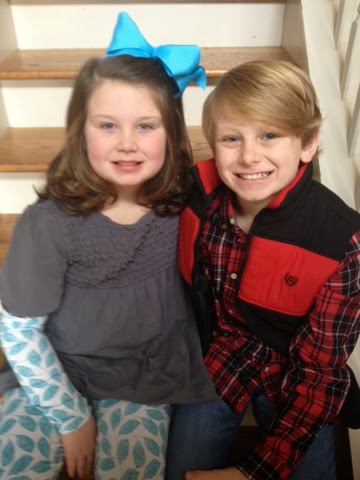 My two cuties dressed and ready for church! 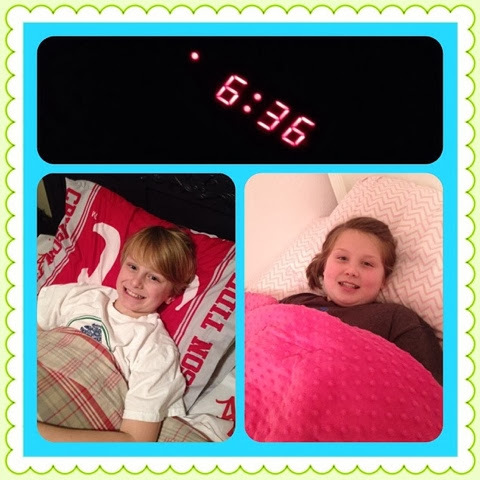 Monday, January 27th: it was an early bed time night for the kiddos in my house! We had a bad case of the Mondays after having a late night Sunday night! So we did our best to catch up on some sleep by going to bed early! Tuesday, January 28th: Let is Snow, Let it Snow, Let it Snow! 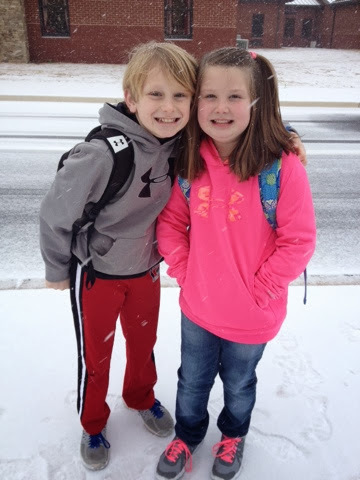 This day will get a whole post on its own when I do our Snowpocolype 2014 post but at this moment when this picture was taken we were super excited to be getting snow and getting checked out of school to go home and enjoy playing in the snow! Little did we know what the future held! Another week in the books; can't believe January the first month of 2014 is over!!! Time flies when you are having fun!! !